The Florida Department of Transportation, Florida’s Turnpike and a host of other Florida-based regional tolling agencies celebrated the grand opening today of a new, 70-thousand square feet operations facility, call center and interoperable processing center for interstate partners. The SunPass Centralized Customer Service Center, CCSC, occupies a large swatch of unused retail space at Ocoee’s West Oaks Mall, which is near the Holland East-West Expressway in Orange County, Florida. The center can be accessed from Exit 1 or Exit 2. 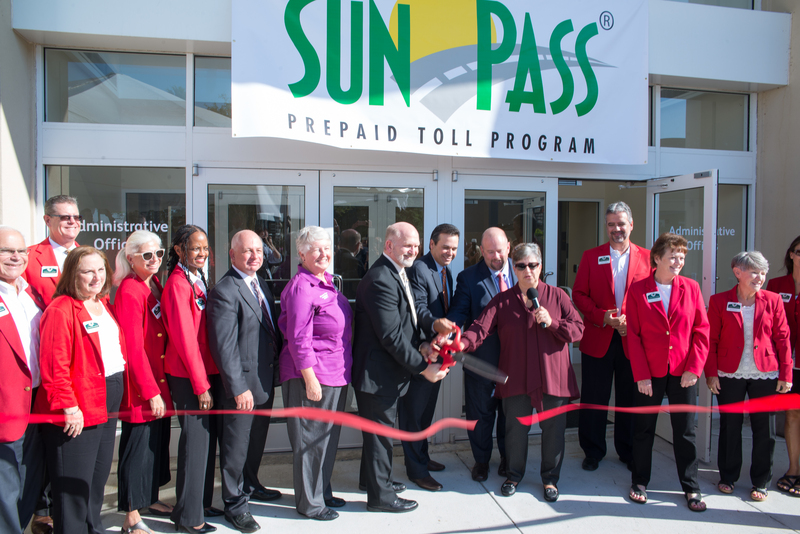 The ribbon-cutting at the new SunPass Customer Service Center in Ocoee, near the Holland East-West Expressway. State dignitaries were joined by Ocoee’s mayor, Rusty Johnson, to cut the ribbon of the new processing and call center. Mayor Johnson hailed the grand opening as a major step in Ocoee’s economic rebound. “It will encourage more businesses to come back and help revitalize the city,” he said. Xerox will run the call center operations at the facility, where 480 people are expected to be employed, in addition to transferring staff from other facilities. Fort Lauderdale, FL – The price of gas tipped up for people living across the East Coast and through the Lower Atlantic states during the past week, according to the U.S. Energy Information Administration. However, price declines across the Midwest and into the Rocky Mountain states kept the broader U.S. gas price average in check this week. The average price of a gallon of gas is reported this week, according to the E.I.A., as $2.22, down a penny from last week. That figure is skewed slightly due to rounding, as the price decline was so small that the drop was, technically, zero. The cost of diesel fell also this week, but with greater certitude of figures. The weekly E.I.A. price survey shows the average price of a gallon of diesel fell nearly a penny to $2.38 per gallon. Editor’s Note: This is article is part of continuing coverage about the development and deployment of new tolling technologies and business processes, and their compatibility from state to state, as mandated by the 2012 highway funding reauthorization. Signs point drivers with iPass or E-ZPass toward the electronic gantries on the Jane Addams Memorial Tollway, just east of Rockford, Illinois, on April 27, 2016. However, cash lanes are still separate and route drivers through manned booths. State tolling agencies are not ready to meet an October 1 deadline to have their tolling payment systems compatible with each other, and it will likely be several weeks to a few months before the first interoperable tolling systems come online, according to Sharon Adair, Vice President of the Alliance for Toll Interoperability, or ATI, based in North Carolina. That means drivers with an E-ZPass, the most common electronic tolling system, will still not be able to use their transponders in states outside the E-ZPass network. The same situation exists for drivers who have transponders from other states, such as TxTag, from Texas, or SunPass, from Florida. As with many mandates from Capitol Hill, the highway funding reauthorization did not, specifically, allocate any funds to helps states begin or complete the conversion process. In 1993, AT&T ran a series of commercials that challenged drivers to imagine a day when they would never have to stop to pay a toll. Actor Tom Selleck narrated a national television spot that made a series of predictions that, at the time, seemed a distant dream. E-ZPass, the predominant electronic tolling network, is twenty years old. However, it is not yet compatible with all states’ toll systems. Very quickly, though, many states introduced electronic tolling. E-ZPass, the largest electronic toll network, celebrated its twentieth anniversary in 2016. Using one of these transponders meant you could travel, albeit slowly, through a toll barrier without necessarily having to stop. Traffic conditions at the toll barriers often presented a far different reality, however. Many states adopted similar technology, opting into networks that permitted drivers from one state to use their transponder in another state. But that compatibility was limited. In Florida, where the transponder system is not yet connected with E-ZPass, drivers from any of 14 states that use E-ZPass are left paying cash or having to buy a SunPass, Florida’s electronic transponder. The service plazas along Florida’s Turnpike offer them for sale. They can also be ordered online, including on TurnpikeInfo.com. Texas, which uses TxTag, is not compatible with either Florida’s system or E-ZPass. In recent years, new, all-electronic toll gantries have begun to replace the manned toll booths across many major toll roads. These gantries are equipped with a series of strobes and lasers, to separate and identify vehicles, according to a well-crafted description on the Florida’s Turnpike website. Cameras take a picture of all passing vehicles’ license plates, and sensors in the ground read the number of axles. Receivers then detect a passing transponder, and travelers can remain at highway speeds. There are no booths. If a vehicle does not have a compatible electronic transponder, a bill is sent to the registered owner of the vehicle at the end of the month. It includes all tolls that are incurred on a specific toll road, and an administrative fee, usually two or three dollars. All-electronic tolling means there is not even a need for a transponder device, if one does not wish to enjoy the discount most states offer for using electronic toll transponders. The cashless system is called open-road tolling, and even drivers without a transponder are no longer required to stop, but few toll roads are fully converted. Some states are ahead of others in the conversion to all-electronic tolling, called AET, for short. 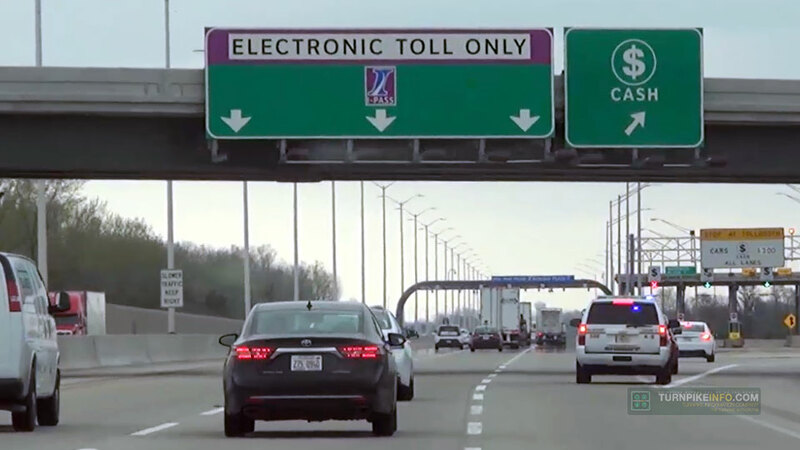 Drivers on Illinois’ Tri-State Tollway are familiar with AET gantries; many entrance and exit ramps, and some toll barriers are now AET-only, meaning drivers must have an electronic transponder, pay online with a credit card or get a bill. The same can be said for the Jane Addams Memorial Tollway, which, while under reconstruction west of Chicago, has also been largely converted to AET. However, many toll barriers on Illinois’ toll roads still have separate cash lanes, a sort of hybrid system. Massachusetts, on the other hand, is completely converting to AET. The state is sweeping away all manned toll booths along the 138-mile long Massachusetts Turnpike, and officials will turn on all-electronic tolling on October 28, barring unforeseen technological or, more likely, political impediments. The state’s department of transportation, known colloquially as MassDOT, has been holding public hearings on the new tolling system and the toll costs, some of which are actually going down. When we called to speak to Jacquelyn Goddard, in the MassDOT media office, she was on her way to one such meeting. We did not hear back from her in time for this installment in our series. In Florida, where conversion has been underway for many years, the process will continue for many more, according to Chad Huff, public information officer for Florida’s Turnpike Enterprise. FTE operates Florida’s Turnpike, the Veteran’s Expressway in Tampa, along with the Homestead Extension of Florida’s Turnpike, which runs through Miami-Dade County. “[FTE] anticipates full conversion to all-electronic toll collection by 2022,” Huff told TurnpikeInfo.com. Florida has been converting toll plazas to gantry systems for years, but cash booths remain at many barriers, including this one just west of Fort Lauderdale. Nonetheless, significant portions of Florida’s Turnpike are already all-electronic. South of Fort Lauderdale and into Miami, drivers must use an electronic toll transponder or they will get a bill at the end of the month. In Florida, that transponder is called Sunpass, but it is not compatible with E-ZPass states, yet. Texas, likewise, has open-road tolling on many major roads, including the Texas State Highway 130, TX130, a commuter road that shuttles drivers from Austin to points north, including Round Rock and Pflugerville, where the growth of the tech industry has mandated the rapid expansion of the state’s highway system. However, Texas, like Florida, has a closed toll collection system that is not yet compatible with other states. Many states, like Texas, have introduced all-electronic tolling on their newer toll roads, like the SR-130, shown here in November 2014. On roads in Florida, Texas and other states where AET is already in place, or soon will be, anyone without a compatible toll transponder will simply get a bill at the end of the month. 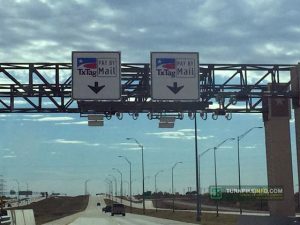 That bill will include an administrative fee, usually a few dollars, which will be added to the single bill that includes all tolls incurred during the month, for that specific toll road. While many states are still working to make their transponder systems compatible, it is the bureaucratic challenges that have manifest as most difficult to resolve. Huff pointed out that technological issues can be easily overcome, and pointed to the integration of Florida’s local and state transponder systems. 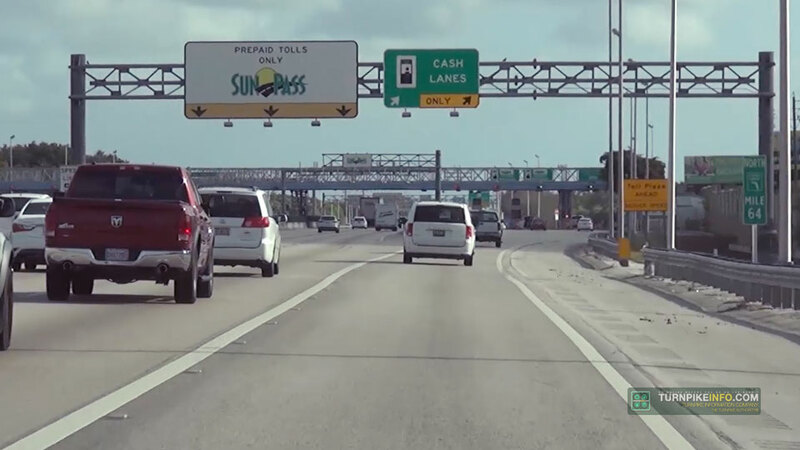 “SunPass and the other Florida brands use the same technology and worked out business rules as electronic tolling was being introduced,” Huff wrote. Huff said Florida is already testing new equipment that will read the most common types of transponders, regardless of manufacturer and state of issue. FTE has installed and tested tri-protocol readers with the goal of being able to read the three selected protocols under IBTTA conformance and performance testing,” he said. Another issue is the sharing of driver and vehicle information. When it comes to sharing data and collecting tolls, the bureaucratic variations from one state to another tend to get in the way, Adair said. “Agencies may seem reluctant to relinquish the customer account since they are directly responsible from the view of the Federal government, State government and customer” Adair observed. Finally, there are state laws that have yet to come into line with the federal mandate, Adair said. “Many states are also impeded by legislation or lack of legislation that regulates or permits their interactions with other state agencies and private corporations,” she said. Editor’s Note: This article has been modified from its original presentation. We originally reported the Massachusetts Turnpike as being 157 miles long. It is 138 miles long. GSP Exit 154 will have overnight closures while ramp work continues. Work on exit ramps at the Clifton, New Jersey exit off the Garden State Parkway will continue nightly, according to an official at the New Jersey Turnpike Authority. The night work will continue to result in overnight ramp closures, indefinitely, the official said. Overnight closures began Tuesday night, September 21, at GSP Exit 154. The closures begin nightly at 8 p.m. and continue through 6 a.m. the following morning. The alternate route to Clifton and surrounding communities is to take GSP Exit 153, to the south. If one is trying to get to U.S. 46 going eastbound, Exit 157, to the north, is an alternate option. 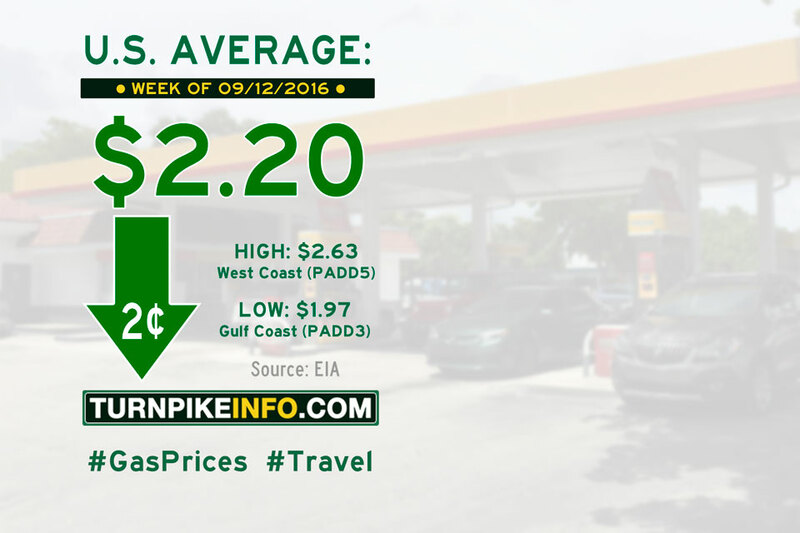 Fort Lauderdale, FL – The price of gas performed an about-face this week, rising just over two cents per gallon, according to the U.S. Energy Information Administration. Prices had been two for two consecutive weeks. The E.I.A.’s weekly pricing survey shows prices jumped in nearly every region, save for the Gulf Coast and Rocky Mountain states. The average price of a gallon of regular unleaded is now $2.23. The cost of diesel fell on the week, unlike regular fuels, according to the E.I.A. The average price of a gallon of diesel fell a penny to $2.39 per gallon. Regional cost averages for both gasoline and diesel are listed below, ranked from highest to lowest price. 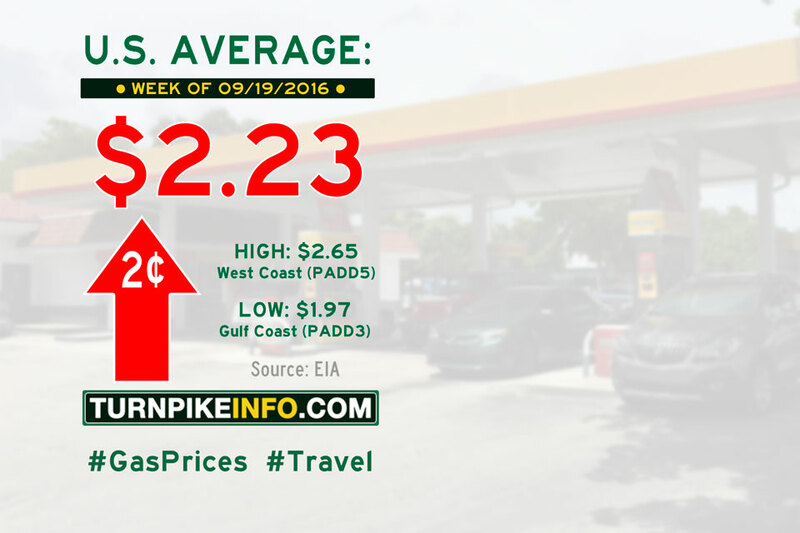 Fort Lauderdale, FL – The price of gas continued its downward trickle during the past week, according to the U.S. Energy Information Administration. This week’s E.I.A. survey report shows the average price of a gallon of regular unleaded fell just over two cents, settling at $2.20. The price of gas across the Gulf Coast fell, officially, below the $2.00 average for the first time in three weeks. The cost of diesel also fell this week, albeit slightly, according to the E.I.A. The average price of a gallon of diesel fell nearly a penny to $2.40 per gallon. Fort Lauderdale, FL – Gas prices have halted their surprise prices increases, which began two weeks ago. The U.S. Energy Information’s weekly gas price survey shows the average price of a gallon of regular unleaded fell by just over a penny per gallon. The national average is now $2.22. Prices fell dramatically across the Midwest, leading the national average down. Elsewhere, according to the E.I.A. report, prices either held steady or edged upward slightly. The cost of diesel stabilized this week, with the average price of diesel remaining at just under $2.41 per gallon, according to the E.I.A. This week's report delayed by one day due to the Labor Day holiday.